KIEV, Ukraine -- Ukraine plans to jam the airwaves transmitting broadcasts in support of Moscow-backed separatists in the eastern Donbass region, a top Ukrainian defense official said on Thursday. 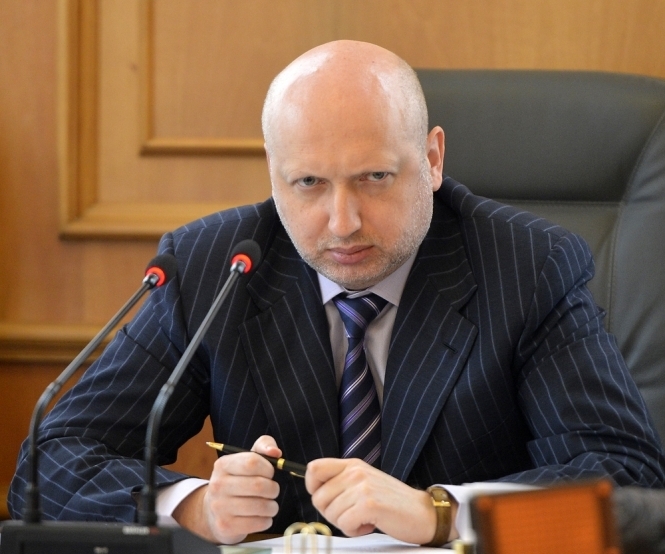 Oleksander Turchynov, the Secretary of the National Security and Defence Council. The airwaves have become another battleground in the war between Ukraine and pro-Russian rebels that has dragged on for three years and killed more than 10,000 people despite a ceasefire agreed in 2015. Ukraine is concerned that people living in or close to separatist-held territory are flooded with TV and radio broadcasts that are biased towards the Russian view of the conflict. Oleksander Turchynov, the Secretary of the National Security and Defence Council, said Ukraine was developing a project to block out hostile broadcasting in the conflict zone. "Information aggression is one of the most dangerous components of the hybrid war waged by Russia against us," his press service quoted him as saying. "Therefore, blocking the destructive influence of separatist and Russian information propaganda ... is one of our priorities." The council has asked Prime Minister Volodymyr Groysman to release funds for the project. A spokeswoman for Turchynov said that equipment for the project had passed tests in the conflict zone but other details were secret. Much of eastern Ukraine's broadcasting infrastructure is controlled by the rebels or has been destroyed by the fighting. This has left Ukraine, whose own media typically characterizes separatists as 'Russia-sponsored terrorists', outgunned in an information war that has played a central role in the crisis. In its fight for hearts and minds, Kiev is redoubling efforts to improve access to Ukrainian television and radio for the majority in the region who rely on roof-top aerials. Ukraine unveiled a new TV tower in the east in December and said three more towers in the Luhansk and Donetsk regions were planned for 2017. But lawmaker Yurii Pavlenko, a member of a parliamentary committee on Freedom of Speech and Information Policy, told the TV channel 112 on Thursday that the government was not moving fast enough. Pavlenko added that members of the committee would travel to the east in May to assess what was being done to expand Ukraine's media reach.